The attorneys at Slappey & Sadd have extensive experience handling all varieties of automobile accidents, including those involving Uber, Lyft, and other ridesharing companies. Protecting your rights after an Uber accident is more complex than after an ordinary car accident because you are dealing with the driver’s employer, the driver, and the driver’s insurance agency. Therefore, if you are involved in an Uber accident, it is a good idea to seek legal representation to ensure that you are compensated for your damages to the maximum extent possible. We serve the entire state of Georgia, including Muscogee County, Richmond County, and Whitfield County. While using Uber rather than a traditional taxicab is generally safe, you, as an Uber passenger, are still at the mercy of your driver – and some drivers are safer than others. According to “Who’s Driving You,” a public awareness campaign promoting for-hire transportation safety, there have been at least 28 deaths attributable to Uber and Lyft accidents since May of 2014. Although you are statistically unlikely to die or even be seriously injured in an Uber accident, you should still be aware of your rights and responsibilities if you are so injured. Phase 1: This is the period of time that the driver has the app "on" and is waiting for a request. Throughout this period, drivers are covered by Uber's insurance policy for liability to a third party if they are at fault in an accident. This coverage amounts to $50,000 in injury liability per person, $100,000 in total liability per accident, and $25,000 in property damage liability per accident. Phase 2: This is the period of time beginning when the driver receives the pickup request and ending when the driver arrives to pick up the passenger. 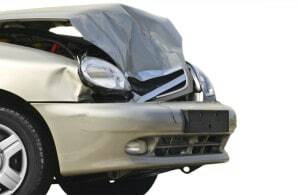 During this time, the driver is covered by $1 million in total liability coverage, $1 million in uninsured or underinsured motorist bodily injury coverage, and contingent collision and comprehensive coverage for the driver's vehicle. Phase 3: This is the third and final phase of every Uber journey, and it is the period of time that the rider is in the driver's car. The coverage for this portion of the journey is the same as for Phase 2, except that the rider is also covered. Finally, report the accident to Uber through the Uber smartphone app. Once you have reported the accident to Uber, an Uber employee and a representative from their insurance company will contact you to determine exactly what happened and to work out coverage amounts. If you are injured in an Uber accident, your injuries should be covered by Uber's insurance policy. However, Uber and other ridesharing companies have a history of denying liability for accidents caused by their drivers. If this happens, you may need to speak to an attorney. Additionally, it is beneficial to speak with a lawyer and have them review your case before accepting a settlement from the insurance company. You might be entitled to more than the insurance company initially offers.